The Hobo spider, also known as the House spider, is highly aggressive and notorious for biting humans; with little or no provocation. Perhaps this can be attributed to the fact that the Hobo spider has very poor eyesight, and are quick to attack anything that disturbs their web. 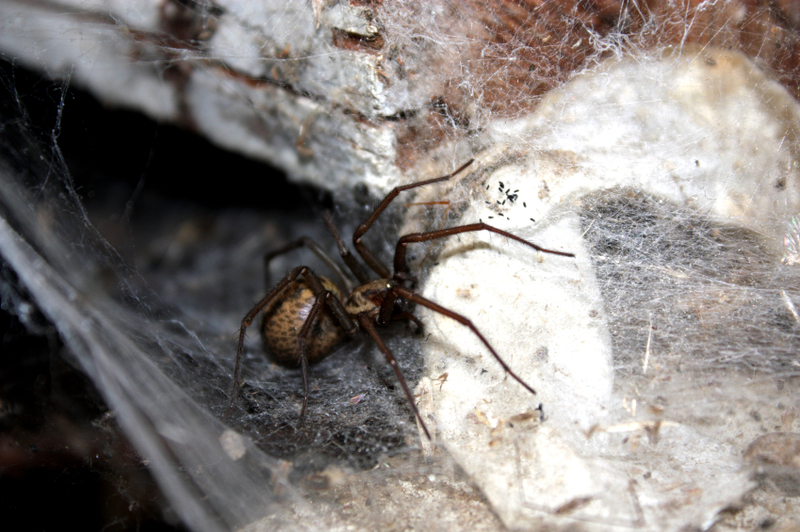 The Hobo spider creates a non-sticky funnel shaped web, close to the ground and often near a home’s foundation, underneath siding or on plants and weeds. The Hobo spider’s web has strings that “trip” it’s prey, which the Hobo spider quickly attacks; before it can escape. Very common in the U.S. Pacific Northwest, the Hobo spider is the most likely spider pest to create pest control problems, by attacking and biting people; in that region.